Our experienced care professionals and state-of-the-art facilities at Lung Disease Center of Central PA can help you with pulmonary fibrosis. 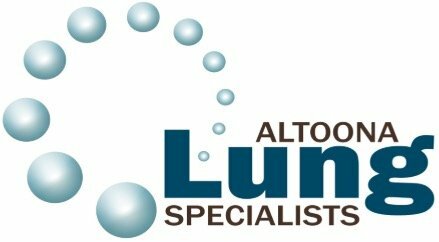 Contact us promptly if you are concerned about your potential lung health and issues. Pulmonary Fibrosis is a rare but fatal lung disease. It causes progressive scarring in the lungs and affects your ability to breathe. About five thousand new cases are diagnosed annually. It is as serious as lung cancer, and in most cases, it is eventually fatal. However, early diagnosis and treatment can slow down the progression of the disease, allowing patients to continue to do what they love for longer periods of time. The Lung Disease Center of Central Pennsylvania is dedicated to providing high-quality pulmonary services. We are often complimented for having a real person answer the phone (rather than a recorded message and phone tree). If you are struggling to breathe normally, call the Lung Disease Center of Central Pennsylvania at 814-946-2845 or book an appointment online! There are over 200 different types of Pulmonary Fibrosis, most of which present with no known cause. A handful of cases, however, are caused by autoimmune diseases like rheumatoid arthritis, scleroderma or Sjogren's syndrome. Certain viral infections, gastroesophageal reflux disease (GERD), and hazardous materials are also potential risk factors. Patients have a mean life expectancy of 2 to 4 years from diagnosis. As the disease progresses, everyday tasks such as climbing stairs or getting dressed can become difficult, and eventually, oxygen therapy may be needed. Once lung function is lost, it can never be regained. Unfortunately, by the time symptoms appear, the lungs have already been damaged. How Do We Diagnose Pulmonary Fibrosis? We will initially assess your condition using a lung function test and oxygen assessment, and CT scan will be used to confirm the diagnosis. On a high-resolution CT scan, honeycomb scarring in the periphery of the lung can be seen. For this reason, this disease is sometimes referred to as "honeycomb lung disease". Patients with a rapid disease progression are reviewed every three months, while those who are stable should be reviewed every six months. Within the Lung Disease Center, we have our own pulmonary function testing laboratory, allowing the Center ito perform sophisticated testing maneuvers, many of which are only available in institutional settings. We also have an x-ray unit and an in-house-CT scanner. Current treatments are aimed at slowing the course of the disease, relieving symptoms and helping patients stay active and healthy. Depending on the nature of a patient's pulmonary fibrosis, medication may sometimes be used to slow progression and provide relief from the disease's symptoms. Oxygen therapy (sometimes called supplemental oxygen) may also be prescribed if a patient’s lung disease is preventing a healthy level of oxygen from getting into their bloodstream. Treatment is only one part of living well with this illness, however. Nutrition, exercise, stress management as wells as making adjustments in a patient’s routine are also recommended parts of a treatment plan.